Sergey Polyakov was born in Russia. 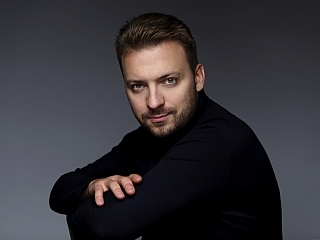 His repertoire includes Sergey in Lady Macbeth of Mtsensk (Shostakovich), Radames in Aida, Manrico in Il trovatore, Oronte in I Lombardi, Carlo VII in Giovanna d’arco (Verdi), Des Grieux in Manon Lescaut, Cavaradossi in Tosca, Calaf in Turandot (Puccini), Herman in Pique Dam, Vaudemont in Iolanta (Tchaikovsky), Turiddu in Cavalleria rusticana (Mascagni), Canio in Pagliacci (Leoncavallo), Shuisky in Boris Godunov (Mussorgsky) and many others. He performs in the opera houses of Berlin, Moscow, Stockholm, Mannheim, Riga, Vilnius, Liege and the Marinsky in St. Petersburg.